Pick up any Washington, DC travel guide and you’ll see one of three cover photos: the White House, the U.S. Capitol Building or the Washington Monument. All are must-sees, but here are three unique Washington DC museums for kids that are a great break from all of the historical and political hot spots. 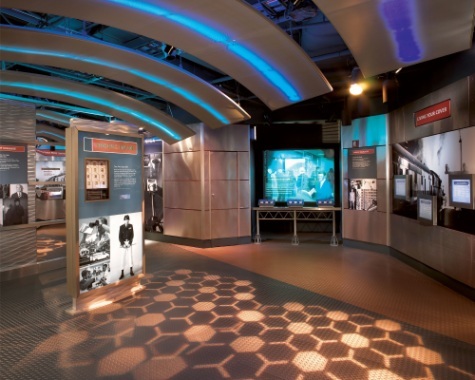 I first visited the International Spy Museum a few years ago, and was amazed by how much there was to learn about espionage and national security. It was interesting back then, but they have since added a bunch of museum programs designed specifically for kids. Operation Spy is a one-hour interactive sleuthing experience for kids ages 12 and up. Meanwhile, Spy in the City is an add-on where participants receive clues and codes to complete a secret mission. Also, look out for Operation Secret Slumber, a top secret overnight spy program offered periodically at the International Spy Museum. Visit both exhibits for a nominal extra charge. 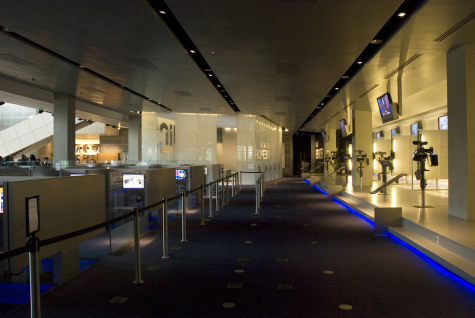 Learn about how news is created and distributed at the Newseum. A variety of short films showcase issues affecting journalism and the history of the news-making process. Don’t forget to check out the front page of newspapers from every state in the country! You’ll find them displayed both inside and outside the museum. Kids will love the NBC News Interactive Newsroom that gives them a chance to role play as a reporter or camera person and even step in front of the lens to experience first-hand what it’s like to be on TV. Take a trip through the new exhibit, Every Four Years: Presidential Campaigns and the Press to help kids learn more about political campaigns and the news media. At the Crime Museum, kids learn about police line-ups, high-speed chases and crime scene forensics. 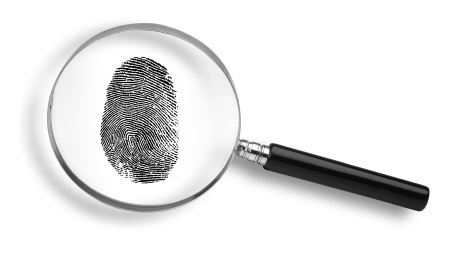 Get your kids fingerprinted through the National Center for Missing and Exploited Children (be sure to check the schedule). There are several add-on programs that are just a few dollars each above the ticket price. You’ll find a wide variety of forensics labs and workshops, which in most cases are more appropriate for older kids (e.g., body decomposition workshop). Finally, take a tour of the America’s Most Wanted studio. Be sure to sign up for these before your visit. If you’re planning a trip to DC, sign up to get daily deal alerts from Groupon. I see discounted tickets for each museum a few times a year. What’s your favorite museum or monument in Washington, DC? Let us know in the comments! Erin Gifford is a mother of four and the creator of the family travel blog, Kidventurous, which was recently chosen as the Best Family Travel blog by Parents magazine. Follow her on Facebook and Twitter for family travel advice and deals. Erin – These museums sound so interesting! As a writer, the Newseum appeals to me but I think my 7-year-old would get such a kick out of the International Spy Museum. Thank you for writing a guest post for Travel Mamas! Three fun-sounding museums! We haven’t traveled to Washington with our kids yet, however, I know that when we do that museums such as these would be a welcome diversion from history and politics. Everyone thinks of the Smithsonian museums when they think of Washington, DC. These definitely will be museums I will mention to anyone going there. I know – don’t these museums sound like so much fun?! We took our 15 year olds to the spy museum and played the interactive spy experience in a mock city with clues and stealthy escapes and fun!! Even us parents were enthralled by the story and imaginary spy situation. Our team made decisions based in clues and in the end it was revealed that we “survived” the espionage situation!! Whew 🙂 This is HIGHLY recommended for teens who burnout on “regular” museums in DC.